Maybe it’s cliché to say this, at this point, but how the hell is it January 2016?! 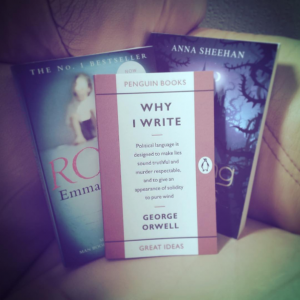 Life, and time, and everything else, is crazy, but more of that in my next post – I’m here to talk about reading! My Goodreads Goal for this year is a total of 45 books, and I’m currently 5 books into it (11% – 2 books ahead of schedule). 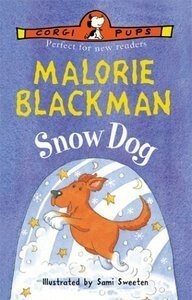 Of those five books, one was poetry (Give Me a Quiet Corner by Patience Strong), two were complied of short snippets of dialogue (Weird Things People Say in Bookshops, and More Weird Things People Say in Bookshops by Jen Campbell), one was a novel-length fanfic, and one was Snow Dog by Malorie Blackman – a children’s book. Yes, a children’s book. 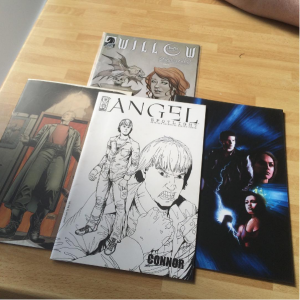 Not Young Adult, I’m talking something for young, young kids. 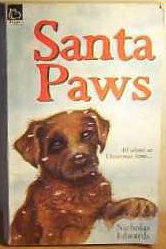 As a child, of maybe of about ten, I read Santa Paws by Nicholas Edwards and I loved it. At the time, it was age appropriate, and to this day I get a deep sense of nostalgia just thinking about it. 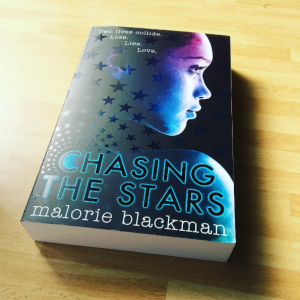 Now, Malorie Blackman is my favorite author. 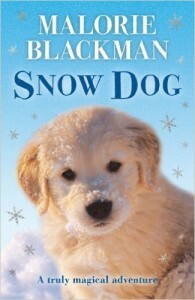 As such, I’d been looking through her back catalogue, and I just so happened to come across Snow Dog, listed beside a cover that didn’t look too dissimilar from my beloved Santa Paws book (pictured below). Based off that cover, I assumed it was going to have similar content inside (hey, isn’t there a popular saying about that? ), but… well, I was wrong. Having ordered the book from my local library, who had listed it with the cover in question, I was surprised to pick up a shockingly thin, illustrated book with the cover pictured on the right (also below). Had I seen that cover online, I probably wouldn’t have requested it, but y’know what? 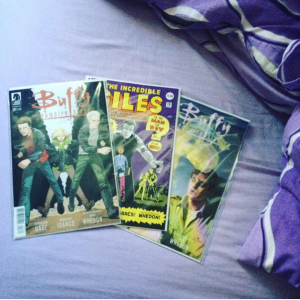 I read it, and enjoyed it, so it’s all good. 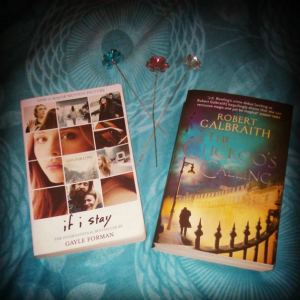 So, yes, I’m currently ahead of my reading schedule, and yes, that’s mostly because I’ve been reading ‘quick reads’, but they still count and, I’ll say it again: I’m not ashamed. For Christmas, my partner got me a Kindle, and we also decided to adopt the Icelandic custom of Jolabokaflod (the book flood), in which you give the gift of literature to each other on Christmas Eve and then spend the rest of that day reading. 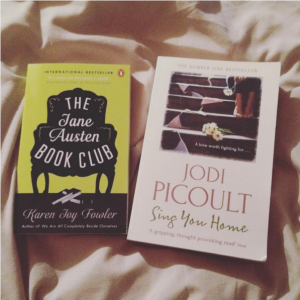 For the occasion, I received The Jane Austin Bookclub by Karen Joy Fowler, and Sing You Home by Jodi Picoult. While, in turn, I got my partner Illuminae by Amie Kaufman and Jay Kristoff. I didn’t really get into The Jane Austin Bookclub, so I’ve set it aside for now, and I haven’t yet began Sing You Home, but my parter loved Illuminae so much that he finished it within a couple of days and now I’m halfway through it, too. Also currently reading an eBook on how to get the most of my Kindle Fire, and listening to The Art of Asking by Amanda Palmer on audiobook. 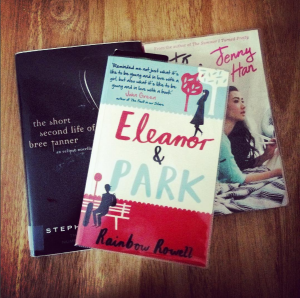 Comment Question of the Day: What books have you read that some people might try to shame you for? Tell me below (please? ).